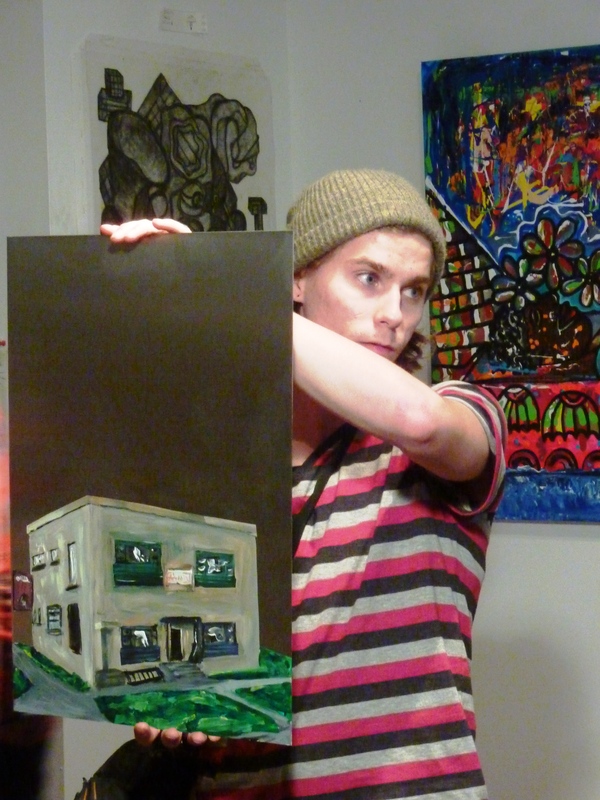 It was the last piece leaning against a wall at the front of the Gorilla House the night of the art battle. I had been away for two months and it was my second week back. 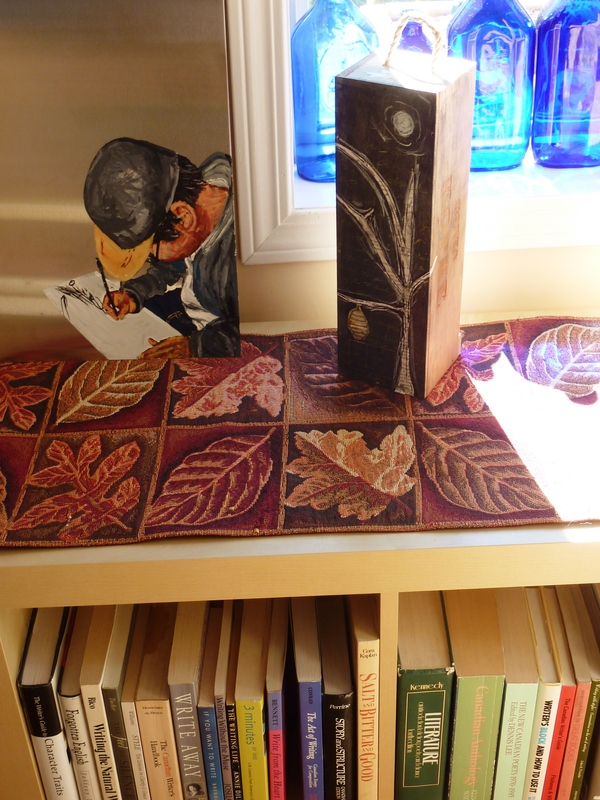 There was a call out, “Is the artist here?” I wanted the piece…badly! Rich said, “Awe, come on…we’ll auction it and I’ll get his money to him.” That was how I managed to snapple up this piece and with one serious attendee bidding against me. 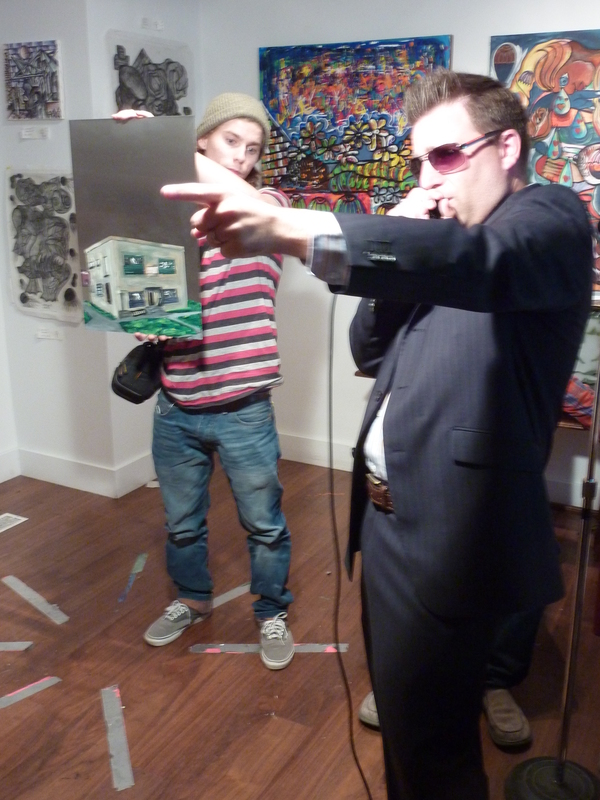 The week following, I saw a similar piece at auction and was thrilled to see a young man step up for the bidding war. I asked Jess, next to me, “Who is that guy?” Her reply…”Austin.” I was thrilled to learn who had created my piece and stepped up to introduce myself briefly as I took his piece to the back table. At the time of introduction, he was patiently explaining to the new patron how to handle the material that he has been using for his work. He wanted to be certain that the client knew that the edges were rough and had some potential for being dangerous, so handle with care…buff edges…that sort of thing. I was impressed. Funny thing happened earlier today…not even certain how it happened, but I learned that Austin is the son of a former student and friend. I taught Deb at Holy Cross back in 1979, my first year in Calgary. She describes herself as being the proudest momma grizzly of two of the greatest bear cubs on the planet, her beautiful and talented son and her equally talented daughter, Kassandra. I laugh because earlier in her dialogue with me about her kids, she referred to them as her two goats…so, take it for what it is. Austin was born in Burnaby, British Columbia and moved to Calgary in 1995. He began making art at a very early age, experimenting with different mediums and approaches. 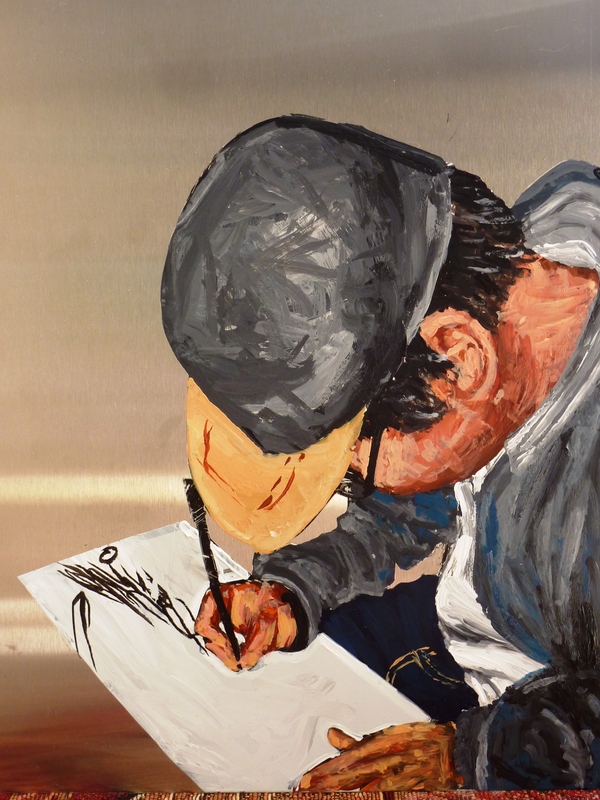 Many of us observe artists at work and wonder what goes on in their minds as they produce art works. Deb is no different, but is amazed at how Austin appears to make art without fear of the outcome, but an intense pleasure in the process. 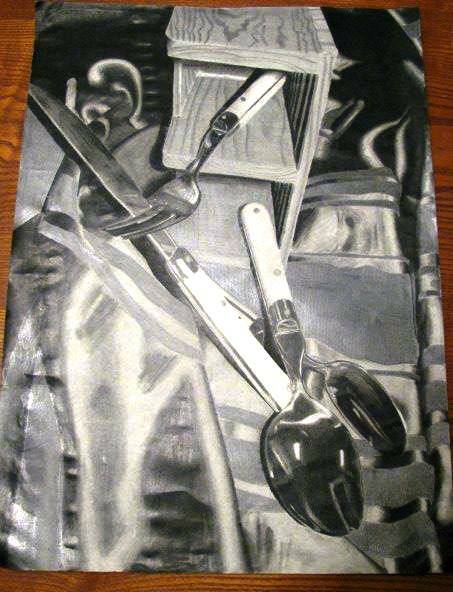 He received his first award in grade twelve when he created this graphite still life. Of Austin, Deb says that she is so proud to call him her son. I say, I’m so absolutely thrilled to have reconnected with Deb and now, surprisingly, to have a piece of her son’s amazing work! Graphite Still Life created by Austin. Here are two photographs of Austin and his creation, the night that I met him. I think that we will be seeing more of this young man’s work! This entry was posted in Experiences, Fine Arts, Friendship, Going Somewhere?, Gratitude, Magic, Painting, Reflection, Wellness and tagged Friendship, Full Circle, Gorilla House, Gorilla House LIVE ART, Gorilla House LIVE ART Battles, Gratitude, Life, Painting by Painter Lady. Bookmark the permalink.